On the occasion of International Volunteers Day (5 December), Mandeep Dhaliwal, Director of the HIV, Health and Development Group at the United Nations Development Programme (UNDP), and Olivier Adam, Executive Coordinator of the United Nations Volunteers (UNV) programme, shared a film celebrating the partnership between their respective organizations in Tuvalu. UN Volunteer Medical Doctor Ronald Achidri (Uganda) uses his knowledge and skills to support the Ministry of Health of Tuvalu in enhancing the access of people affected by tuberculosis in Tuvalu to care, support and proper treatment. International Volunteers Day is an opportunity for volunteers and organizations to celebrate their efforts and share their work among their communities, non-governmental organizations (NGOs), United Nations agencies, government authorities and the private sector. The day focuses on the values of volunteerism through the appreciation of local volunteers. 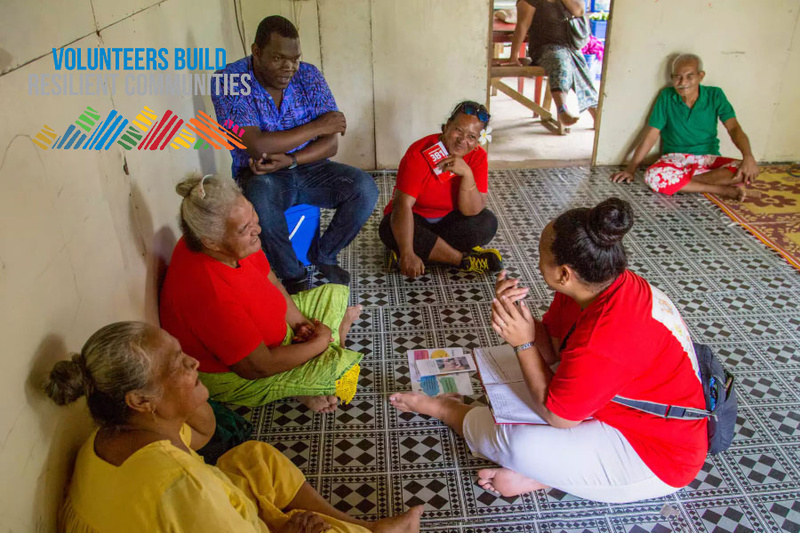 This year we are highlighting the work of UN Volunteers in the Pacific, one of the regions where they are supporting national health responses through the UNDP-Global Fund partnership. UN Volunteers play an important role in countries where UNDP manages Global Fund programmes, contributing to a range of functions including finance, engineering, IT, procurement, as well as HIV and TB programming expertise. Currently UN Volunteers are supporting health programmes in Bolivia, Guinea-Bissau, Sao Tome and Principe, South Sudan, Sudan, Tuvalu, Zambia, and Zimbabwe, among others, and the list continues to grow. UN Volunteers represent a large talent pool for UNDP-managed Global Fund programmes, to help ensure quality healthcare reaches those most in need, thereby contributing to multiple Sustainable Development Goals and the pledge to leave no one behind. Volunteerism can be an effective way of engaging with local stakeholders and communities, supporting service delivery, building local capacity through trainings of national partners, supporting programme monitoring and evaluation, and implementing human rights programmes. Importantly, the use of UN Volunteers helps to develop, and leverage, local capacities. More than 80 per cent of UN Volunteers originate from the Global South, strengthening the potential for South-South collaboration and the transfer of knowledge across UNDP’s country programmes. Since 1971, UNDP has been working with UNV to promote human development around the world in order to "help countries to simultaneously reduce poverty and achieve sustainable development that leads to transformational change, bringing about real improvements in people’s lives". To mark International Volunteer Day 2018, UNDP and UNV join hands to celebrate volunteers and the longstanding partnership between UNDP and UNV.